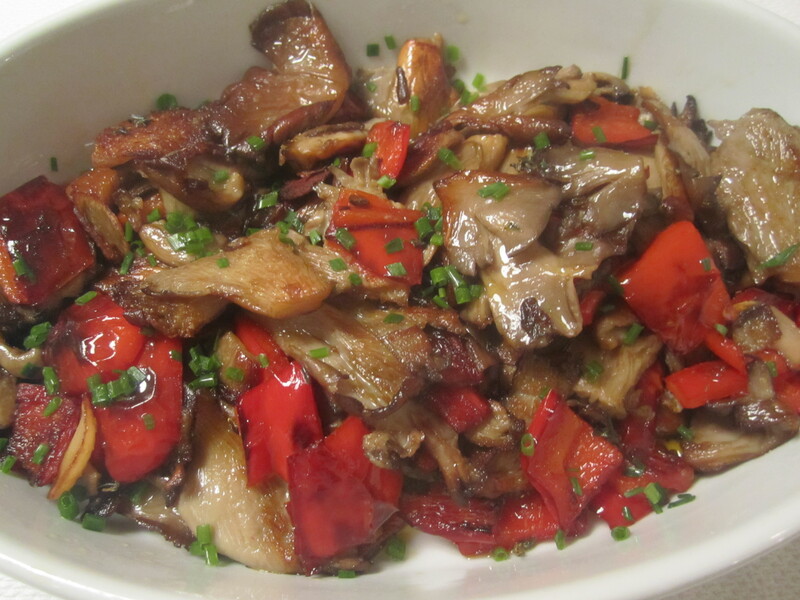 You may know already what a big fan of oyster mushrooms I am (see oyster mushrooms with mint). They are meaty, easy to clean, inexpensive, and deeply, exotically flavorful. Right now, red peppers are in season and are at their sweetest (and cheapest). I’ve bought a bunch to add to my oyster mushrooms to add a little sweet smokiness to them. 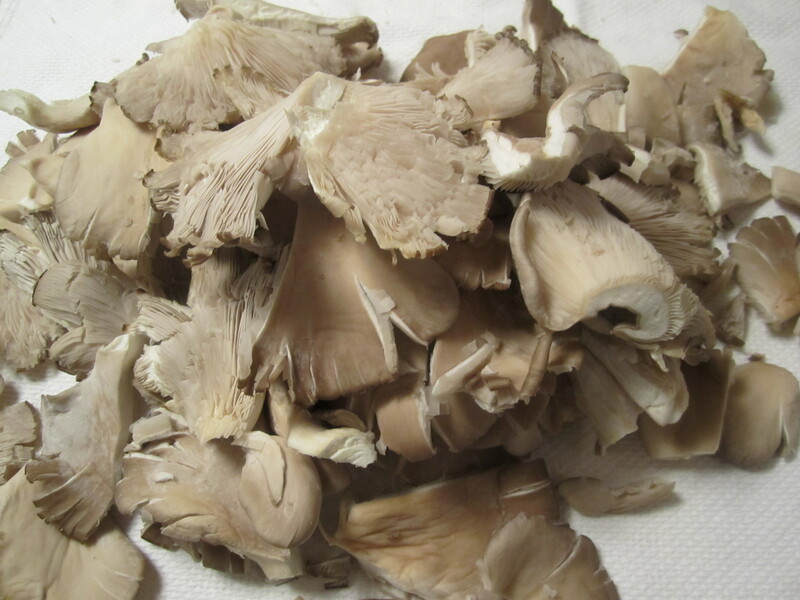 To prepare oyster mushrooms for cooking, simply remove the chunky tough bottoms from them and pull the leaves into separate, smaller pieces. Tonight, I’ve chosen to add thyme to the mushrooms instead of mint, since thyme is a natural with woodsy, earthy flavors. The entire preparation takes about 10 minutes from start to finish, depending on the strength of your burner and size of your skillet. Just remember to use enough oil and salt, and use a large enough skillet to allow the water to cook off the mushrooms as quickly as possible, lest they boil and turn hard and rubbery instead of brown and crispy. 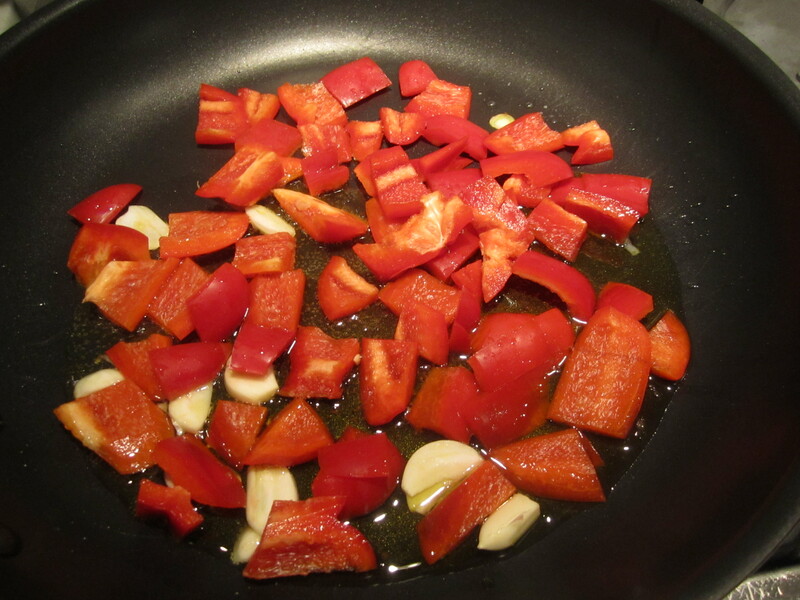 In a large skillet, brown garlic and red peppers for about 5 to 8 minutes, until garlic is golden and peppers are beginning to caramelize. 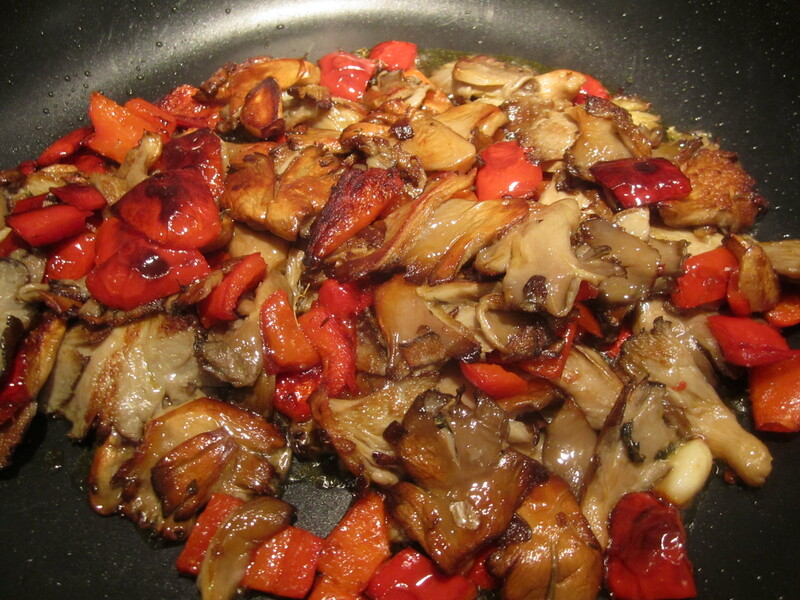 Turn heat to high and add mushrooms. Saute, tossing and stirring every minute or so, for about 10 minutes, or until mushrooms are golden. Great as a leftover served at room temperature. Served over al dente pasta with an extra dram of excellent olive oil and a little salt. Very flavorful!